Clinically proven treatment for acne. Developed to treat all levels of acne safely and effectively. 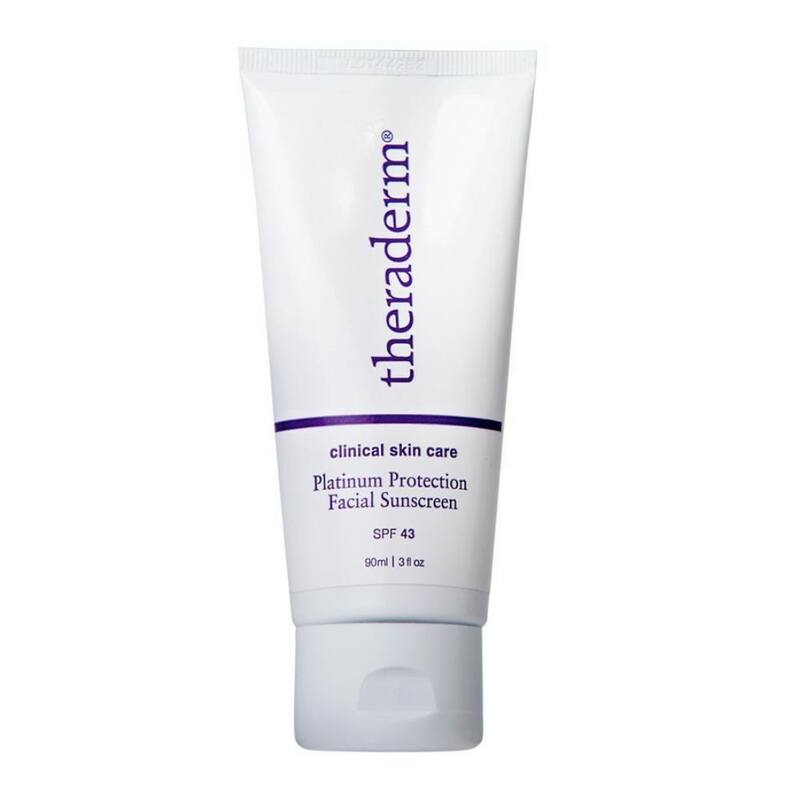 Protects your skin from future breakouts. Helps repair and maintain your skin's elasticity. 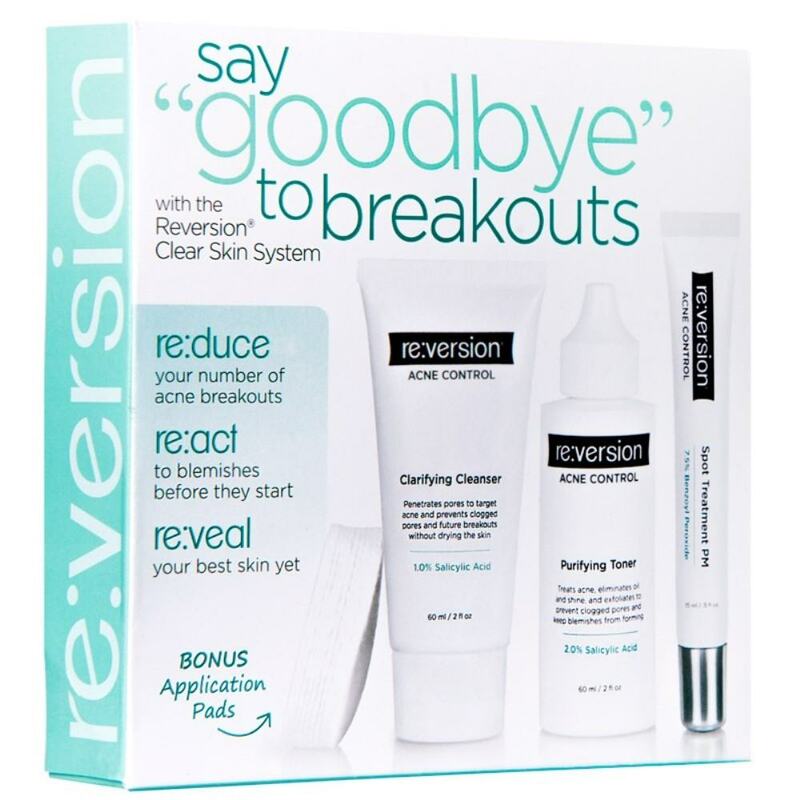 Use Reversion for at least 60 days. If you are not completely satisfied, just return the bottles within 90 days for a full, prompt refund ... no questions asked! 3 month supply when used as directed! * if allergic to aspirin, pregnant, or lactating, do not use the acne medication. 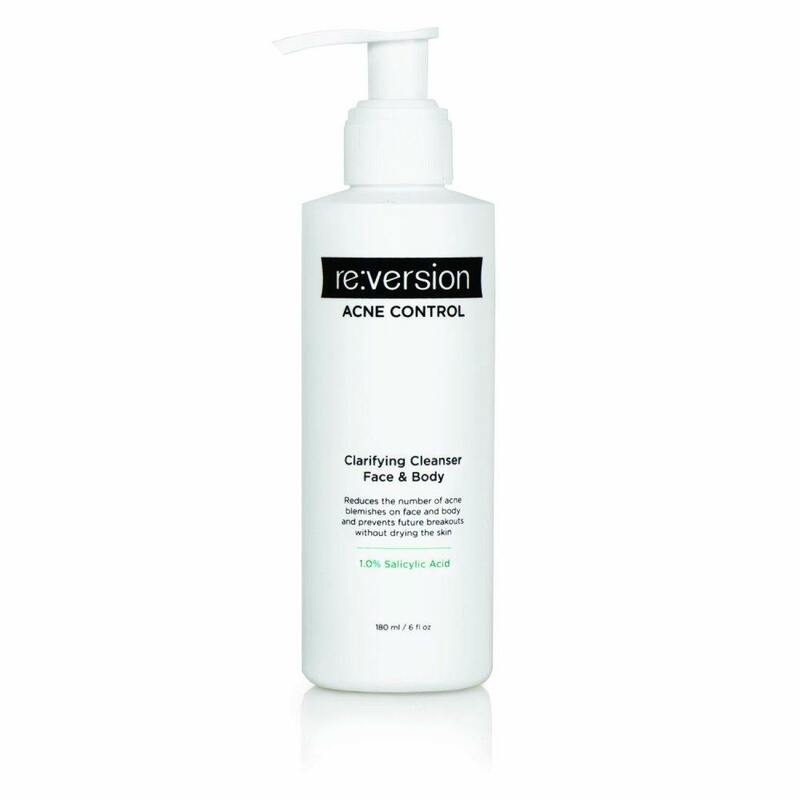 Reversion Clarifying Cleanser fights acne blemishes at the source and prevents new blemishes from forming.Reversion Clarifying Cleanser contains salicylic acid which promotes natural cell turnover and green tea leaf extract to calm and soothe inflamed, acne-prone skin. Directions:Apply dime-sized amount to damp skin, massage gently over skin, avoiding eye area, rinse thoroughly with warm water and pat dry. Use AM and PM. If bothersome dryness or peeling occurs, reduce applications to once a day or every other day. After acne clears, continue use for preventive care. 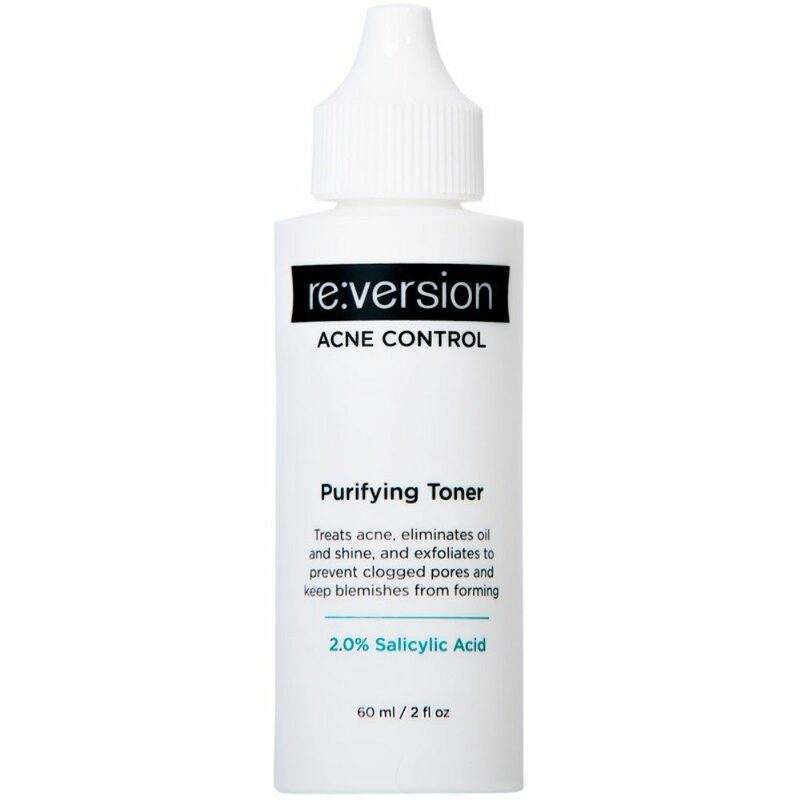 Reversion Purifying Toner combines salicylic acid and lactic acid to stimulate the skin's natural process of exfoliation, removing dead skin cells and oily sebaceous debris from the oil glands of the skin to prevent acne by unclogging pores. 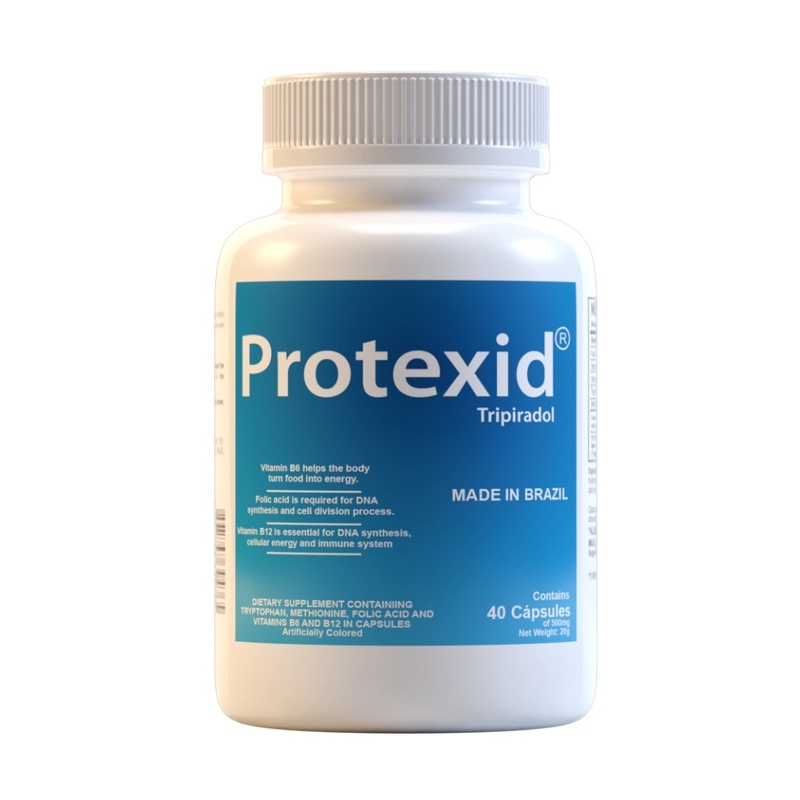 Lactic acid promotes the growth of new collagen and elastin, while restoring your skin's natural pH balance. Directions:Apply evenly to affected skin, avoiding eye area. Do not rinse. Use AM and PM. If bothersome drying or peeling occurs, reduce usage to every other day. After acne clears, continue use for preventive care. Reversion Spot Treatment PM is designed to clear stubborn pimples while you sleep. 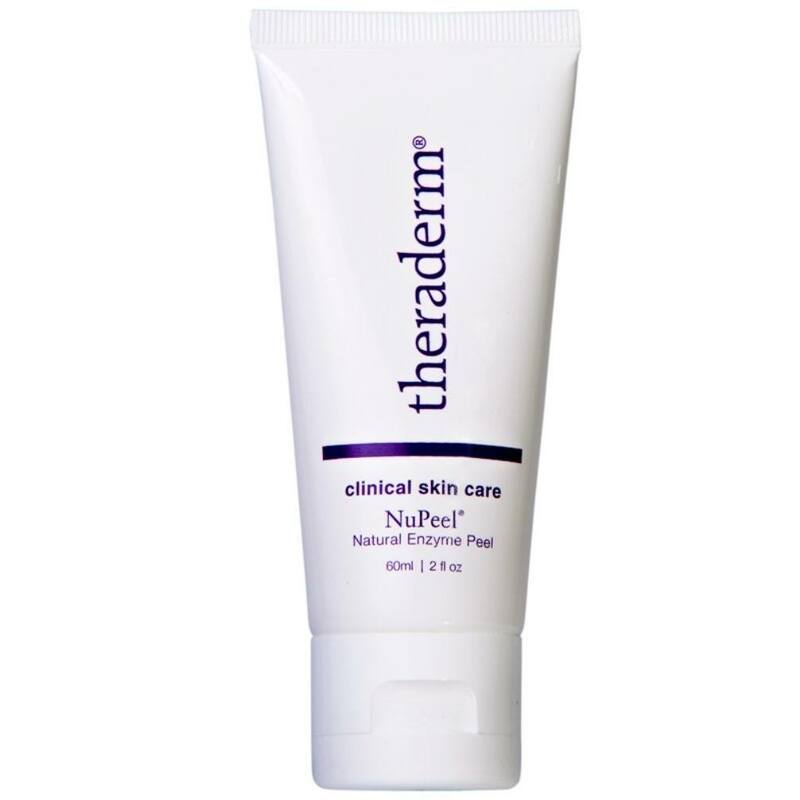 It visibly reduces the size and redness of present blemishes and helps prevent new breakouts even before they appear. 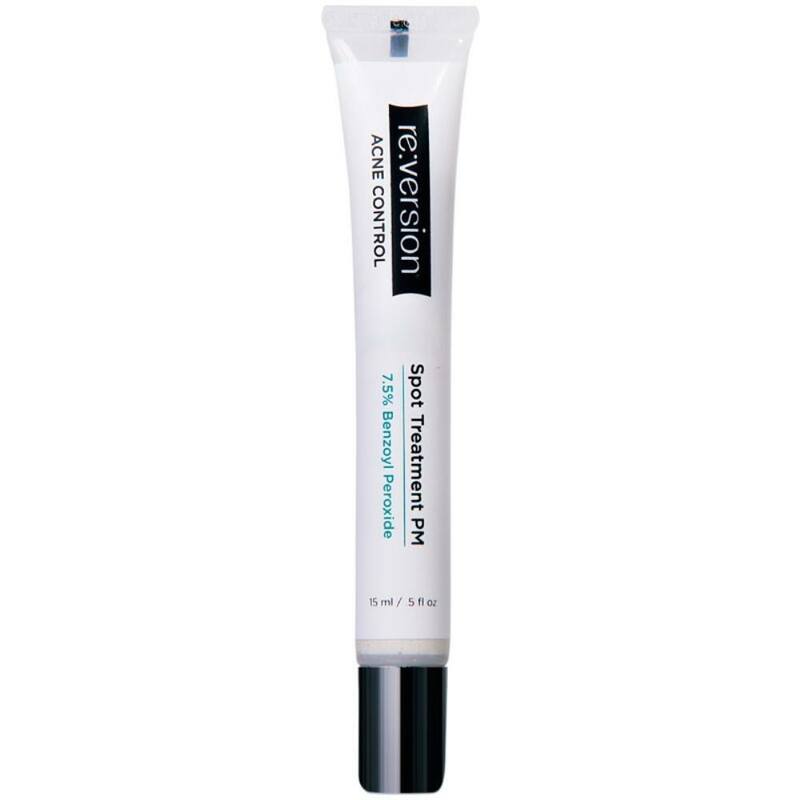 Reversion Spot Treatment PM is great for breakout emergencies. Directions:Cleanse the skin thoroughly before applying. Cover blemish and surrounding area with a thin layer before bed. In the morning, wash and pat dry. Continue using until blemish has disappeared. If going outside, apply a broad-spectrum sunscreen after using this product.